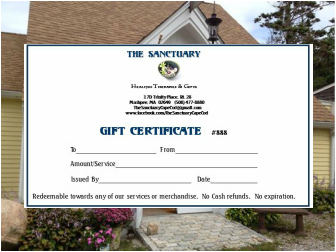 Be it a thought-filled gift or a sacred treasure, we are Cape Cod's place to go for Spiritual, Psychic and New Age Gifts. We are centrally located about 5 minutes from Exit 6 off Route 6 and 5 minutes from the Cape Cod Mall, in Hyannis. You will find us along Route 6A, amidst the local shops and boutiques of quintessential Barnstable Village in a newly renovated, 200 year old horse barn, overlooking Barnstable harbor. The shop owner Amy, is a native Cape Codder and Medium and is able to help with any question you may have. Amy's extensive studies and experience in the field of metaphysics and the Spirit World, enable her to answer your questions on Psychic Phenomenon, Healing, Energy Work, Crystals, Mediumship, Tarot, Psychic Development and more in a down to Earth, understandable way and guide you in the right direction. Amy teaches all things Metaphysics and Mentors those looking for Personal Development or those wanting become a professional LightWorker. Amy is a card collector so we carry many popular and unique Card Decks. We can special order most anything, just ask! Get an amazing reading with Amy or attend one of our many shifting and uplifting classes.We accept all major credit cards and even Gift Wrap! As one of the few Psychic Shops left on the Cape, we appreciate your business and referrals! Shop Local! Services for your Spiritual Growth & Development and All the Tools You need! 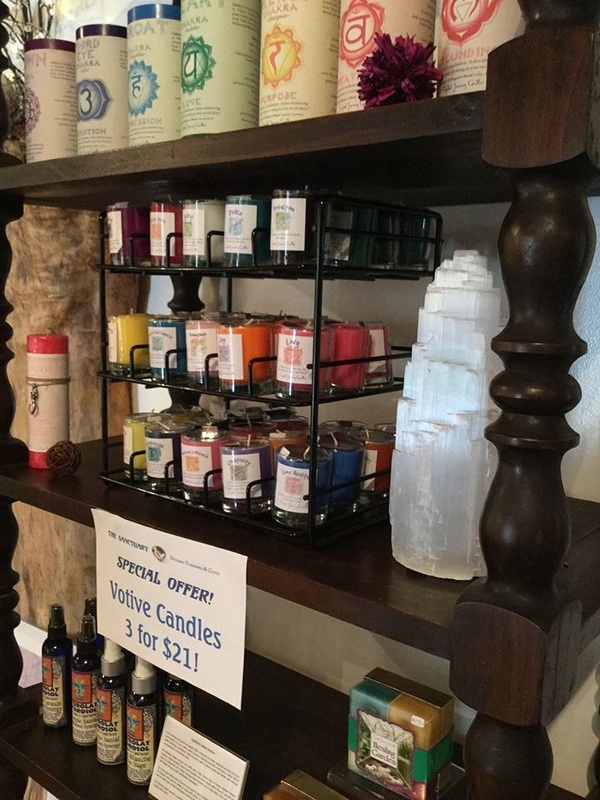 *LOCALLY MADE JEWELRY *CRYSTALS *CANDLES *ESSENTIAL OILS *TAROT & ORACLE CARDS *SMUDGE * INCENSE *SACRED ART *STATUES *INSTRUMENTS *TAPESTRIES *BATH SALTS *BOOKS *MUSIC *CRYSTAL BOWLS *PENDULUMS *MALAS *ONE OF A KIND GIFTS & MUCH MORE! Linda is a Reiki Master Teacher Practitioner, Intuitive Oracle Card and Tarot Reader, a Crystal and Sound Therapist and a Reiki for Animals Practitioner. She is also Amy's assistant and in charge of appointments, booking parties, events, operating the Gift Store and generally keeping everything running smoothly. She's happy to set up an appointment or guide you in the right direction be it a workshop, gift or sacred tool you are looking for. Linda offers private appointments for Healing Sessions and Readings and is also available for Mentoring as you travel your spiritual journey. Linda is known for transmuting Fear to Love, One Heart at a Time. Mary is a Medicine Woman, Reiki Healer and Therapeutic Touch Practitioner. Mary is available for private Readings on Sundays by appointment. Mary also holds a channelled Blue Ray Touch Healing Circle every month at the Sanctuary. She will empathically lead you to the absolute appropriate healing tool your soul needs. Call us at 508-362-8000 to schedule your private Reading with Mary. ​" I have eaten...My heart is full"
Tanya is an Intuitive, Spiritual Artist best known for her amazing Soul Portraits, among countless other artistic abilities. ​Soul Portraits are uniquely personal images of your soul's expression. Tanya is a Reiki Practitioner~ Level Two and is actively working to build her practice. Call us at 508-362-8000 to schedule your Soul Portrait Session with Tanya. 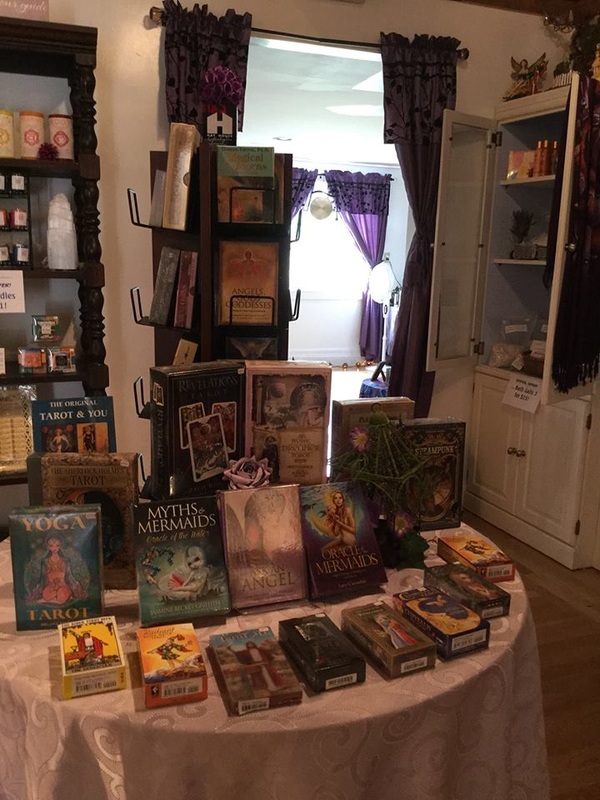 ​Tanya brings her intuitive gifts to the Sanctuary Gift Shop several days per week and is able to direct you to the metaphysical item you need for your own Divine Life Purpose. ~ It's the Perfect Gift!